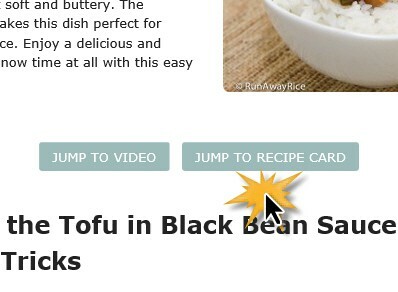 New Website Features at RunAwayRice - Printable Recipe Cards! Hi Friends! RunAwayRice’s new website features are here and I am just thrilled to tell you about them! I recently reached out to you, my readers and viewers, asking for suggestions and improvements to my website. Your responses were extremely helpful and informative and so supportive. Thanks for that! As it turns out, you love the short how-to videos, but many of you come to RunAwayRice for more recipe details, tips and tricks and information on where to purchase ingredients and cooking tools. A lot of you also enjoy the food pictures, getting inspiration for menu planning and serving suggestions. 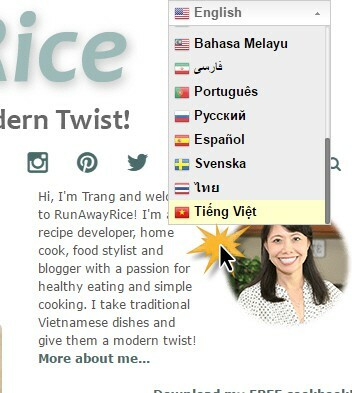 RunAwayRice has a new and fresh web look and layout! The changes incorporate many new features and content you requested. The new features making reading and planning recipes, viewing how-to videos and sharing and connecting much easier and faster. Check out the new website features below. Sharing is caring! We all love to share, comment and collect recipes. On each page are the social bars for Facebook, Pinterest, Yummly, Twitter and Google+. With just a click you can Share, Pin, Yum, Tweet or Post any RunAwayRice recipe to your favorite social media platform. Printable recipe cards are now available for some recipes. The recipe cards have detailed ingredients listing, step-by-step instructions, prep and cooking times, nutritional information and tips and tricks. Quickly print the recipe with a picture for your recipe binder. It’s a good amount of work to re-write my earlier posts and build recipe cards. If there’s a recipe you love and would like for me to work on now, please let me know in the Comments below. Increase or decrease the recipe servings in the recipe card. 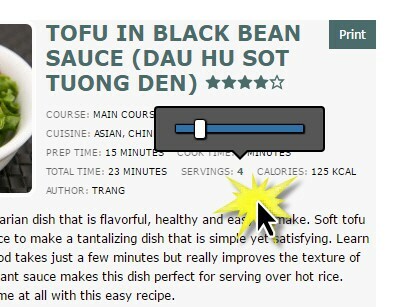 Simply click next to “SERVINGS” and slide the bar to adjust the servings number. The Ingredients are automatically adjusted to make the servings number you selected. It’s super easy! 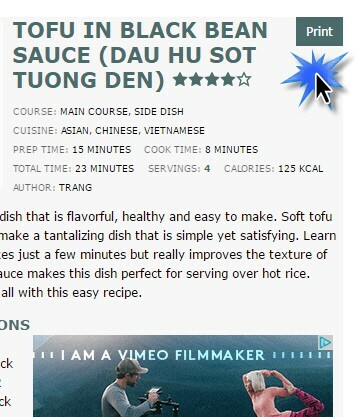 Quickly skip to the video or recipe card by using the buttons “JUMP TO VIDEO” and “JUMP to RECIPE CARD” with just a click. Don’t forget to go back and review the Notes on the Recipe, Tips and Tricks and other helpful information once you’re done. A nifty kitchen calculator is now available to convert from US Customary to Metric systems. 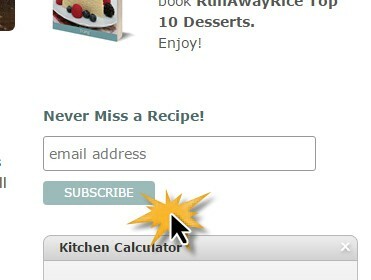 Easily convert any recipe ingredient using the Kitchen Calculator. Simply enter the recipe measurement and select the type in the “From” fields. Next select your desired system in the “To” field. 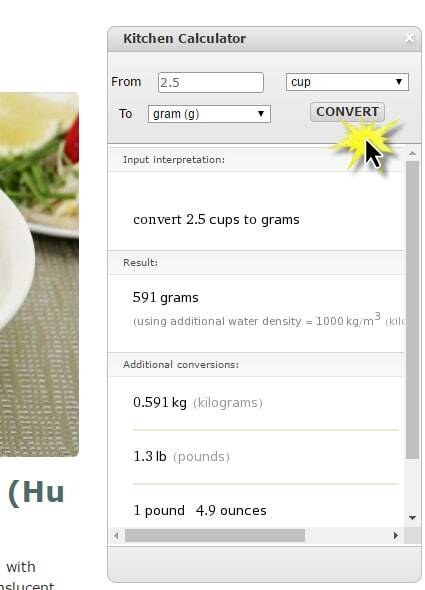 Click the Convert button to do the calculations. If you don’t see your language in the list, let me know and I’ll add it. Enter your email to join the RunAwayRice email list. Be notified of new recipes, special announcements, contest and giveaways. Your email is used for receiving RunAwayRice related-information only and will not be shared with or sold to third-parties. I am continuing to improve RunAwayRice each day. Some changes are easier to implement than others and I have more new website features still in the works. I love hearing from you so please leave me a comment if you have a suggestion, recommendation or just want to say “Hi”. 2 Responses to New Website Features! Hi Trang, love the new features, especially the kitchen calculator. Hi Trang, nice web design. Thank you for posting.